The Diary of a Nouveau Soccer Mom: National Panda Day! 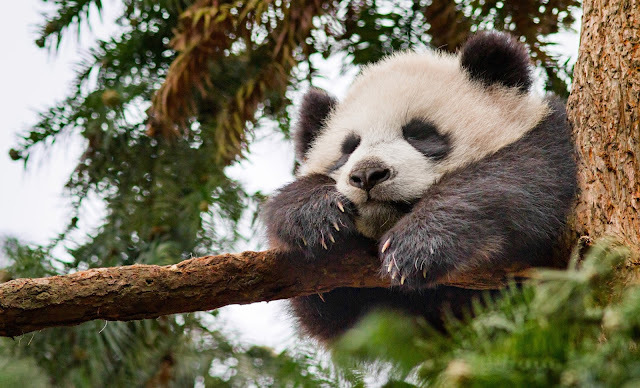 I did not realize that today was National Panda Day until just now, and we haven't even celebrated appropriately. For the record, I don't know how one celebrates National Panda Day appropriately, but I'm sure it is going to involve something with pandas. At least we have some awesome goodies from Disney's Born in China to share and get our panda fix in. Many many years ago, I saw pandas when the Toronto Zoo had a set visiting, then again in Florida. Some good number of years after that, I dragged the husband to the National Zoo in DC to see the pandas. We still haven't made it with the kids to see pandas yet, but it's on my list! Disclosure: The information above, clips, and printables were provided to me by Disney. All opinions are my own.